Sigma used to measure information quality manually through a written evaluation. 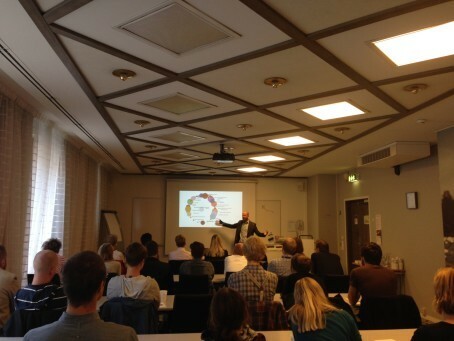 However, it was not that efficient, that’s why together with Ericsson and Linnaeus university Sigma started a project. The project is underway and will be finished next year. Johan presented some insights in the mechanics of quality measurements. It’s not a straightforward area but the audience was interested. Requests were raised that Johan come back and report on the finished project. Sigma Technology will continue the seminar series and a new subject will be presented later this year. Stay tuned for more updates regarding our seminars on our website and our social profiles on Facebook and LinkedIn.